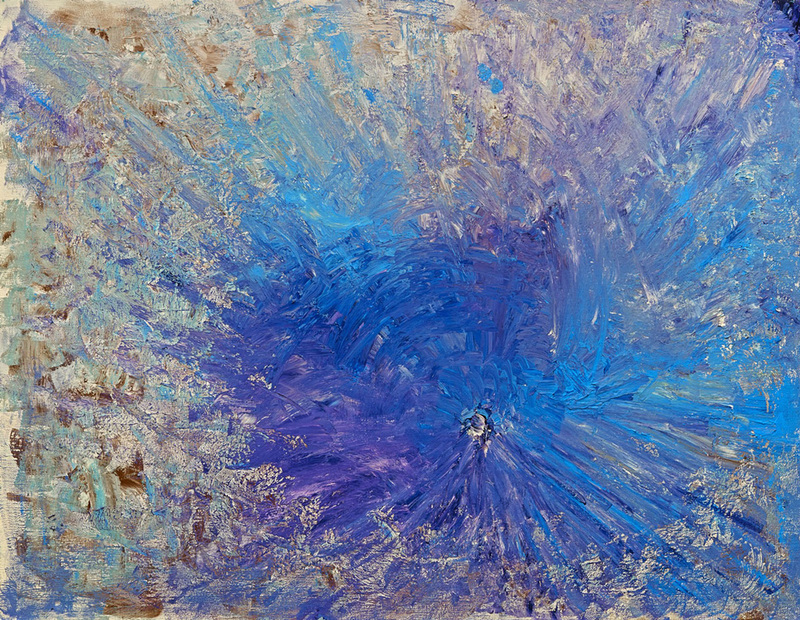 At the center of this piece is a purple blue, the color of the truth,expression and spirituality. This piece represents that creation comes from truth and spiritual energy. There is only one truth. Love. We are created from Love energy.